Donald has been playing his music at various venues and hopes to make it to Caithness in the summer for a series of concerts in the north. Donald Lindsay is "an extremely capable piper" The Herald, and is an exciting new talent on the Scottish Smallpipes, with a highly personalised style. 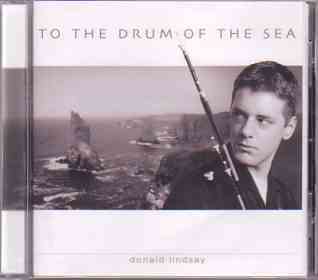 "To The Drum of The Sea" presents Donald Lindsay playing the music of the well respected Scottish composer Alex Muir. The album is a collection of tunes by the Rev Alex Muir. Alex was minister of Canisbay in Caithness from 1982-1991, and composed many of the tunes on the album during this time. This is the first time a collection has been made of his tunes, although the Royal Highland Fusiliers recorded 'The Bays of Harris', and various of his tunes (including 'The Queen Mother's Welcome to the Mey Games') have also been recorded by 'Songs of Praise', the late Addie Harper snr. Of the Wick Dance Band, and others. The majority of the music on the album is played on the Smallpipes, with some Highland pipes and one song 'Duncansby Head'. Keith Easdale of Calasaig produced the album, and provided the accompaniments on cittern & whistle along with Celine Donoghue (also of Calasaig, and currently studying Scottish Music at the RSAMD) on fiddle, and guitarist Stuart Glasgow. Donald is current holder of the only competition trophy for the Scottish Smallpipes, The Colin Ross Trophy. He has worked with a number of other artists and as The New Musical Express said of an earlier release "Profanities" it is "so Scottish it smarts" with "liberal use of pipes and whistles ... it's very, very good." On "To The Drum of The Sea" Donald Lindsay plays both Highland and Smallpipes superbly, with accompaniment by Keith Easdale and Celine Donaghue of Calasaig. 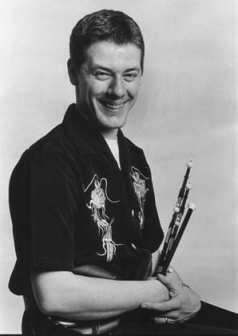 He is also making a name for himself as a composer and lyricist, having held The London Trophy for compositions specifically for the Scottish Smallpipes. On this album Donald presents his own song "Duncansby Head", giving the listener a small window into the wide range of talents this young artist possesses. Of his EP release "The Lost Lyric" the journal "Common Stock said "into this pint pot Donald Lindsay has managed somehow to cram a quart of his artistry as a poet, lyricist, composer and small-piper", with "his contemporary and thought-provoking lyrics" Donald looks set to take the Scottish Trad' Music scene by storm. The composer Alex Muir has for many years been composing tunes in the Scottish/folk style, some such as the highly regarded psalm "Bays of Harris" appear on this album along with others soon to become firm favourites: see track 5 "The Loch of North Uist", "Over the Warth Hill"; track 7 "Groatie Buckies"; track 11 "Ballantrushal", "The Pentland Fishermen". Despite his young age, Donald is deeply involved in the Scottish Music scene, and over the last three years has worked full time with a number of respected music organisations including the Celtic Connections Festival, The Piping Centre and The Lowland and Border Pipers Society. Donald is soon to be joining The New Scottish Choir & Orchestra as a soloist for a concert tour during March, including an appearance in the Glasgow Royal Concert Hall (14/03/03) and The Mitchell Hall, Aberdeen (15/03/03) - catch him if you can!